Katherine Lewis is a willow basketmaker in the Skagit Valley of Washington State, USA. 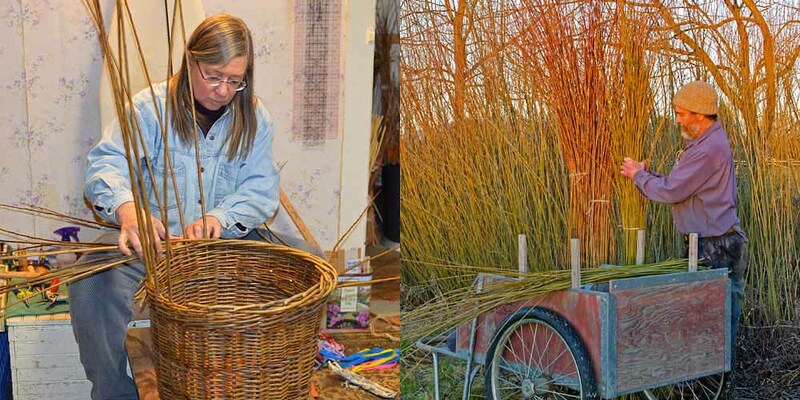 She has a small farm where she and her husband Steve Lospalluto grow much of the willow used in her baskets allowing her to choose the quality, color, and texture of her weaving materials. Katherine’s goal is to weave willow baskets that are functional and durable while reflecting the natural beauty of the willows. Although willow is a common basketry material throughout the world, Katherine is one of a few who are actively growing and crafting their own willow in the United States. From the harvest of the basketry willow to the finished baskets, the work is all done by hand by Katherine and Steve. While the techniques used are traditional, each piece is unique and not bound to any specific tradition. In 2011, Katherine was honored to have several of her baskets acquired by the Renwick Gallery at the Smithsonian American Art Museum as a result of a generous donation by basket collectors Steve Cole and Martha Ware. Katherine is a member and current Board Secretary of the National Basketry Organization. She is also a member of the Northwest Designer Craftsmen. 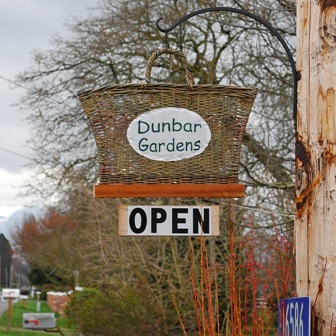 Please visit our website www.dunbargardens.com to find out more about Katherine’s willow baskets, her basketry classes, our small farm in the Pacific Northwest, and how to buy our products. Thanks for your interest!